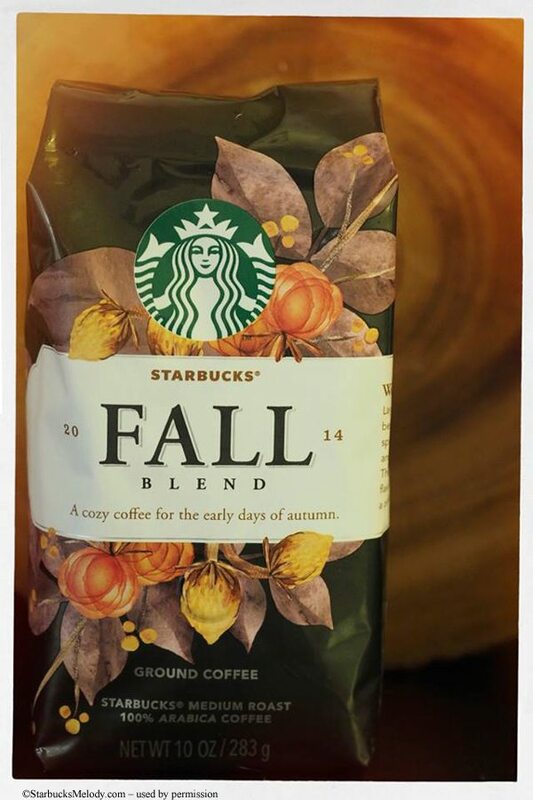 That’s the description on the side of the bag for Fall Blend 2014. You’ll find this coffee in CPG category of goods, meaning that you might find at your local grocery, at Target stores, Wal-Mart stores, and other similar retailers of Starbucks at-home coffee. 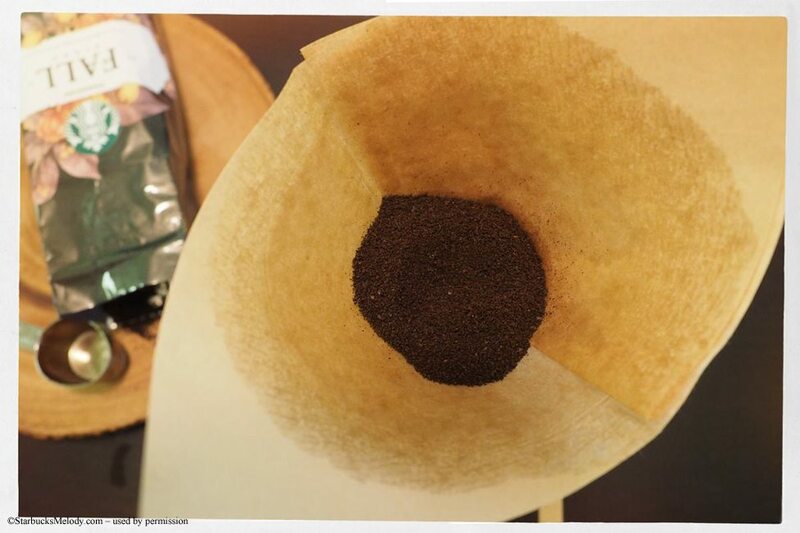 Because this is a CPG coffee, don’t look for it at your neighborhood Starbucks store. I know I’m pretty curious about it. The packaging is gorgeous. I haven’t had it yet, but I will soon! 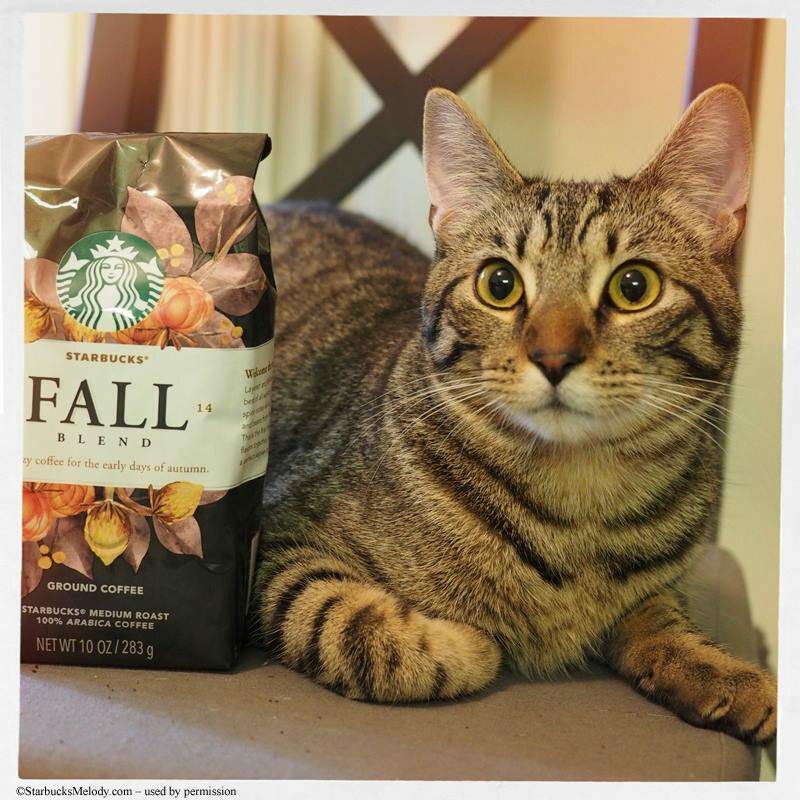 And, there’s no doubt, every coffee photo looks even better with a cute kitty-cat in it! All the photos are courtesy of @Haveagrande Find her on Instagram as The Modern Barista. Quietly Testing Cold Brewed Coffee. That packaging is so amazing! 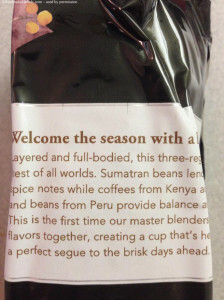 I wonder if we might see a trend in these new CPG coffees and might someday see Winter and Summer Blend. But Holiday Blend is just so darn popular I don’t see that truly happening. A++ for the marketing and design teams for this packaging! I’m very impressed with what I’ve been seeing down the grocery aisle (although not in person!) Makes me go out of my way to just see what’s new in the aisle. @Melody: it does sound interesting but……never know. Did you get the pics I took of this that I sent to you from one of our large grocery chains a couple weeks ago, or 3? just wondering. I love cold brew! It would be awesome if they made this their standard for iced coffee. I brew in a mason jar twice a week with no problem. I have a toddy too, but found it to be more bothersome than my diy rig. Eithopia makes a great cold brew too! Really, any coffee with citrus notes makes good iced coffee, cold brewed or not. Anyway, I think starbucks offering cold brew would allow for even more customization for customers. I brought this up to a Starbucks DM when I worked at SBux and she laughed in my face. Not literrally, but it felt that way. 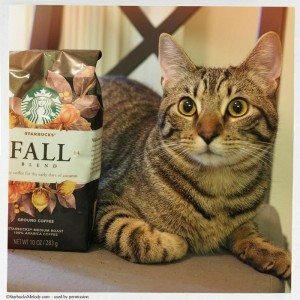 Pretty packaging – love the cat! 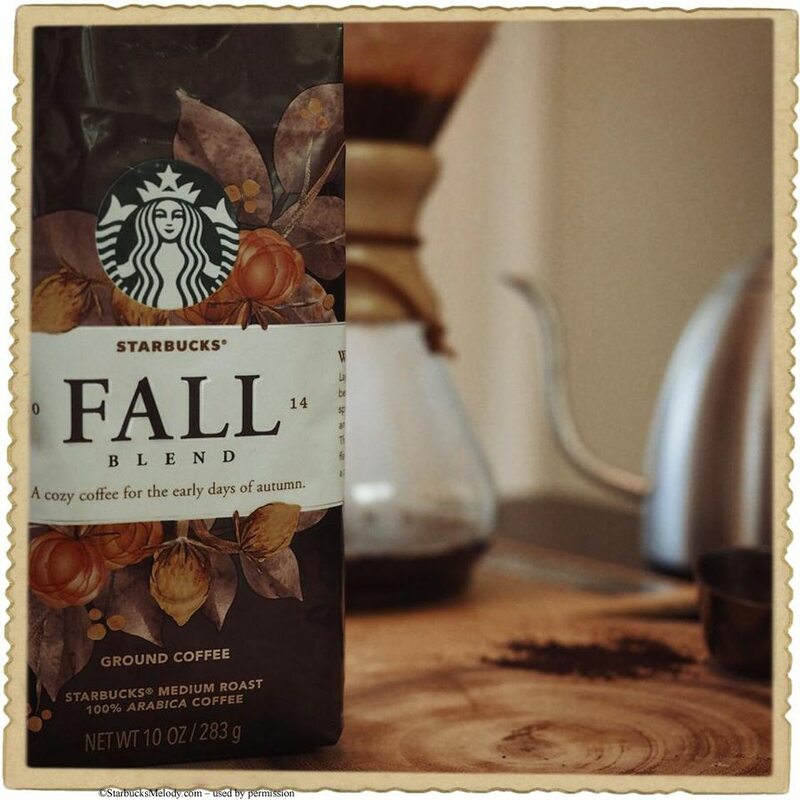 I wish they would come out with more of these seasonal blends for the Verismo. I know the fall and spring blends are in grocery stores, but it would be nice to get Thanksgiving Blend or Brezza or Casi Cielo in Verismo pods. Other than the core roasts, I’ve only ever seen the Christmas blend (and I think Anniversary as well). A couple of things. First, now that I’m no longer a partner, I’m both curious and interested in the bifurcation of offerings in the Company Operated Stores v. the CPG market. Last year, there was a differentiation between Christmas Blend and Holiday Blend, where Xmas was not offered in CPG locations, instead the Holiday Blend was. Also, there are some new CPG offerings (Bright Sky, flavored, etc.) that serve a much broader range of customers. As for the Fall Blend, I noticed it’s only 10 oz instead of the usual 12 for CPG packaging, not a big fan of the subtle packaging shrinkage. As for Verismo offerings, Starbucks has had over the last year Anniversary, Christmas, Casi Cielo, and Tribute Blends. Plus there are offerings online at starbucksstore.com that aren’t offered in the stores. Not to mention they have a few offerings in 96 count sizes. I can NOT wait to try this! Sumatra + Kenya + Peru??? YUM! This is such an amazing coffee blend however it is very hard to find. I have been to several retailers and sadly nothing!! Well I just bought this because I don’t want to go get starbucks every morning because it gets expensive (obviously) but now I’m wondering what to add in it. I don’t like to drink coffee on its own. Does anyone have any tips on how to drink this coffee? how many calories in an 8oz cup of coffee?